This article is about the castle in Warwickshire. For the pub in London, see Warwick Castle, Maida Vale. Warwick Castle is a medieval castle developed from a wooden fort, originally built by William the Conqueror during 1068. Warwick is the county town of Warwickshire, England, situated on a bend of the River Avon. The original wooden motte-and-bailey castle was rebuilt in stone during the 12th century. During the Hundred Years War, the facade opposite the town was refortified, resulting in one of the most recognisable examples of 14th-century military architecture. It was used as a stronghold until the early 17th century, when it was granted to Sir Fulke Greville by James I in 1604. Greville converted it to a country house and it was owned by the Greville family, who became Earls of Warwick in 1759, until 1978 when it was bought by the Tussauds Group. In 2007, the Tussauds Group was purchased by The Blackstone Group which merged it with Merlin Entertainments; Warwick Castle was then sold to Nick Leslau's investment firm Prestbury Group under a sale and leaseback agreement. Merlin continues to operate the site under a renewable 35-year lease. Warwick Castle is situated in the town of Warwick, on a sandstone bluff at a bend of the River Avon. The river, which runs below the castle on the east side, has eroded the rock the castle stands on, forming a cliff. The river and cliff form natural defences. When construction began in 1068, four houses belonging to the Abbot of Coventry were demolished to provide space. The castle's position made it strategically important in safeguarding the Midlands against rebellion. During the 12th century, King Henry I was suspicious of Roger de Beaumont, 2nd Earl of Warwick. 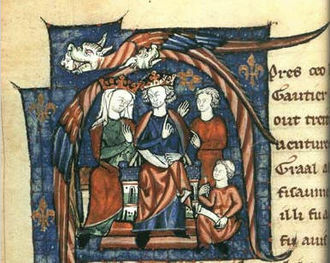 To counter the earl's influence, Henry bestowed Geoffrey de Clinton with a position of power rivalling that of the earl. The lands he was given included Kenilworth – a castle of comparable size, cost, and importance, founded by Clinton – which is about 8 kilometres (5 mi) to the north. Warwick Castle is about 1.6 kilometres (1 mi) from Warwick railway station and less than 3.2 kilometres (2.0 mi) from junction 15 of the M40 motorway; it is also close to Birmingham Airport. 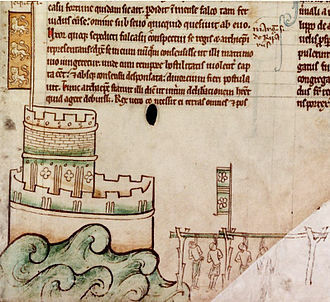 An Anglo-Saxon burh was established on the site in 914; with fortifications instigated by Æthelflæd, daughter of Alfred the Great. The burh she established was one of ten which defended Mercia against the invading Danes. Its position allowed it to dominate the Fosse Way, as well as the river valley and the crossing over the River Avon. Though the motte to the south-west of the present castle is now called "Ethelfleda's Mound" ('Ethelfleda' being an alternative form of Æthelflæd), it is in fact part of the later Norman fortifications, and not of Anglo-Saxon origin. It was also at this time that what is now Warwick School was founded in the castle - making it arguably the oldest boys' school in the country. It still resides just over the river Avon, but a stone's throw away, and visible from all of the castle's towers. After the Norman conquest of England, William the Conqueror established a motte-and-bailey castle at Warwick in 1068 to maintain control of the Midlands as he advanced northwards. 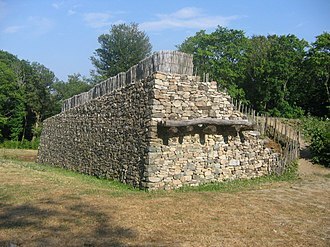 Building a castle in a pre-existing settlement could require demolishing properties on the intended site. In the case of Warwick, the least recorded of the 11 urban castles in the 1086 survey, four houses were torn down to make way for the castle. A motte-and-bailey castle consists of a mound – on which usually stands a keep or tower – and a bailey, which is an enclosed courtyard. William appointed Henry de Beaumont, the son of a powerful Norman family, as constable of the castle. In 1088, Henry de Beaumont was made the first Earl of Warwick. He founded the Church of All Saints within the castle walls by 1119; the Bishop of Worcester, believing that a castle was an inappropriate location for a church, removed it in 1127–28. In 1153, the wife of Roger de Beaumont, 2nd Earl of Warwick, was tricked into believing that her husband was dead, and surrendered control of the castle to the invading army of Henry of Anjou, later King Henry II of England. 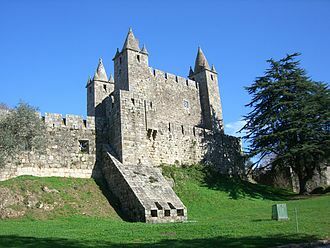 According to the Gesta Regis Stephani, a 12th-century historical text, Roger de Beaumont died upon hearing the news that his wife had handed over the castle. 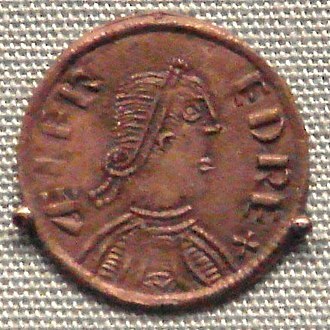 King Henry II later returned the castle to the Earls of Warwick, as they had been supporters of his mother, Empress Matilda, in The Anarchy of 1135–1154. During the reign of King Henry II (1154–89), the motte-and-bailey was replaced with a stone keep castle. This new phase took the form of a shell keep with all the buildings constructed against the curtain wall. During the Barons' Rebellion of 1173–74, the Earl of Warwick remained loyal to King Henry II, and the castle was used to store provisions. The castle and the lands associated with the earldom passed down to the Beaumont family until 1242. When Thomas de Beaumont, 6th Earl of Warwick died, the castle and lands passed to his sister, Margaret de Beaumont, 7th Countess of Warwick in her own right. Her first husband, John Marshal, died soon after, and while she looked for a suitable husband, the castle was in the ownership of King Henry III of England. When she married John du Plessis in December 1242, the castle was returned to her. During the Second Barons' War of 1264–67, William Maudit, 8th Earl of Warwick, was a supporter of King Henry III. The castle was taken in a surprise attack by the forces of Simon de Montfort, 6th Earl of Leicester, from Kenilworth Castle in 1264. According to 15th-century chronicler John Rous, the walls along the northeastern side of Warwick Castle were slighted, so "that it should be no strength to the king". Maudit and his countess were taken to Kenilworth Castle and were held there until a ransom was paid. After the death of William Maudit in 1267, the title and castle passed to his nephew, William de Beauchamp, 9th Earl of Warwick. Following William's death, Warwick Castle passed through seven generations of the Beauchamp family, who, over the next 180 years, were responsible for most of the additions made to the castle. 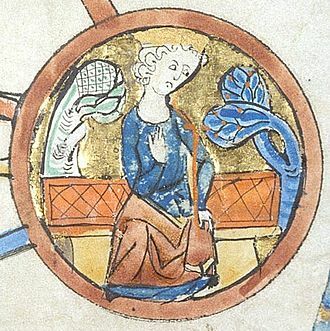 In 1312, Piers Gaveston, 1st Earl of Cornwall, was captured by Guy de Beauchamp, 10th Earl of Warwick, and imprisoned in Warwick Castle, until his execution on 9 June 1312. A group of magnates led by the Earl of Warwick and Thomas, 2nd Earl of Lancaster, accused Gaveston of stealing the royal treasure. Under Thomas de Beauchamp, 11th Earl, the castle defences were significantly enhanced in 1330–60 on the north eastern side by the addition of a gatehouse, a barbican (a form of fortified gateway), and a tower on either side of the reconstructed wall, named Caesar's Tower and Guy's Tower. The Watergate Tower also dates from this period. Caesar's and Guy's Towers are residential and may have been inspired by French models (for example Bricquebec). Both towers are machicolated and Caesar's Tower features a unique double parapet. The two towers are also vaulted in stone on every storey. Caesar's Tower contained a grim basement dungeon; according to local legend dating back to at least 1644 it is also known as Poitiers Tower, either because prisoners from the Battle of Poitiers in 1356 may have been imprisoned there, or because the ransoms raised from the battle helped to pay for its construction. The gatehouse features murder holes, two drawbridges, a gate, and portcullises – gates made from wood or metal. The towers of the gatehouse were machicolated. The line of the Beauchamp Earls ended in 1449 when Anne de Beauchamp, 15th Countess of Warwick, died. Richard Neville, the Kingmaker, became the next Earl of Warwick through his wife's inheritance of the title. During the summer of 1469, Neville rebelled against King Edward IV of England and imprisoned him in Warwick Castle. Neville attempted to rule in the King's name; however, constant protests by the King's supporters forced the Earl to release King Edward IV. 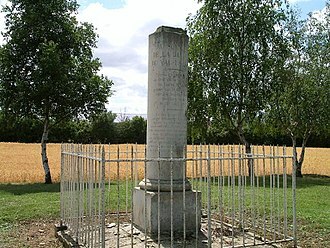 Neville was subsequently killed in the Battle of Barnet, fighting against the King in 1471 during the Wars of the Roses. Warwick Castle then passed from Neville to his son-in-law, George Plantagenet, 1st Duke of Clarence (brother of King Edward IV). George Plantagenet was executed in 1478, and his lands passed onto his son, Edward Plantagenet, 17th Earl of Warwick; however, Edward Plantagenet was only two when his father died, so his lands were taken in the custody of The Crown. He was placed under attainder, and so could not inherit the throne, by King Henry VII of England, being held by the King for fourteen years in the Tower of London until he was executed for high treason in 1499, supposedly for conspiring to escape with the 'pretender' Perkin Warbeck. Edward was the last Earl of Warwick of the title's first creation. In the early 1480s, King Richard III of England (the other son-in-law of Neville) instigated the construction of two gun towers, Bear and Clarence Towers, which were left unfinished on his death in 1485; with their own well and ovens, the towers were an independent stronghold from the rest of the castle, possibly in case of mutiny by the garrison. With the advent of gunpowder, the position of Keeper of the Artillery was created in 1486. ... the dungeon now in ruin standeth in the west-north-west part of the castle. There is also a tower west-north-west, and through it a postern-gate of iron. All the principal lodgings of the castle with the hall and chapel lie on the south side of the castle, and here the king doth much cost in making foundations in the rocks to sustain that side of the castle, for great pieces fell out of the rocks that sustain it. While in the care of The Crown, Warwick Castle underwent repairs and renovations using about 500 loads of stone. The castle, as well as lands associated with the earldom, was in Crown care from 1478 until 1547, when they were granted to John Dudley with the second creation of the title the Earl of Warwick. When making his appeal for ownership of the castle Dudley said of the castle's condition: "... the castle of its self is not able to lodge a good baron with his train, for all the one side of the said castle with also the dungeon tower is clearly ruinated and down to the ground". Warwick Castle had fallen into decay due to its age and neglect, and despite his remarks Dudley did not initiate any repairs to the castle. Queen Elizabeth I visited the castle in 1566 during a tour of the country, and again in 1572 for four nights. A timber building was erected in the castle for her to stay in, and Ambrose Dudley, 3rd Earl of Warwick, left the castle to the Queen during her visits. When Ambrose Dudley died in 1590 the title of Earl of Warwick became extinct for the second time. A survey from 1590 recorded that the castle was still in a state of disrepair, noting that lead had been stolen from the roofs of some of the castle's buildings, including the chapel. In 1601 Sir Fulke Greville remarked that "the little stone building there was, mightily in decay ... so as in very short time there will be nothing left but a name of Warwick". Greville was granted Warwick Castle by King James I in 1604. In the 17th century the grounds were turned into a garden. The castle's defences were enhanced in the 1640s to prepare the castle for action in the English Civil War. Robert Greville, 2nd Baron Brooke, was a Parliamentarian, and Royalist forces laid siege to the castle. Warwick Castle withstood the siege and was later used to hold prisoners taken by the Parliamentarians. The conversion of the castle coincided with a period of decline in the use of castles during the 15th and 16th centuries; many were either being abandoned or converted into comfortable residences for the gentry. In the early 17th century, Robert Smythson was commissioned to draw a plan of the castle before any changes were made. In 1604, the ruinous castle was given to Sir Fulke Greville by King James I and was converted into a country house. Whilst the castle was undergoing repairs, it was peripherally involved in the Gunpowder Plot of 1605. The conspirators involved awaited news of their plot in Dunchurch in Warwickshire. When they discovered the plot had failed they stole cavalry horses from the stables at Warwick Castle to help in their escape. When the title of Earl of Warwick was created for the third time in 1618, the Greville family were still in possession of Warwick Castle. Fulke Greville spent over £20,000 (£4 million as of 2019). renovating the castle; according to William Dugdale, a 17th-century antiquary, this made it "a place not only of great strength but extraordinary delight, with most pleasant gardens, walks and thickets, such as this part of England can hardly parallel". On 1 September 1628 Fulke Greville was murdered in Holborn by his manservant: Ralph Haywood—a "gentleman"—who stabbed the baron twice after discovering he had been left only £8,000 in Greville's will. Greville died from his wounds four weeks later. ... our endeavours for taking it were to little purpose, for we had only two small pieces of cannon which were brought from Compton House, belonging to the Earl of Northampton, and those were drawn up to the top of the church steeple, and were discharged at the castle, to which they could do no hurt, but only frightened them within the castle, who shot into the street, and killed several of our men. The siege was lifted on 23 August 1642 when the garrison was relieved by the forces of Robert Devereux, 3rd Earl of Essex, and the Royalists were forced to retreat to Worcester. After the Battle of Edgehill in 1642 – the first pitched battle of the English Civil War – prisoners were held in Caesar's and Guy's Towers. During the Second English Civil War prisoners were again held at the castle, including those from the Battle of Worcester in 1651. A garrison was maintained in the castle complete with artillery and supplies from 1643 to 1660, at its strongest it numbered 302 soldiers. In 1660 the English Council of State ordered the castle governor to disband the garrison and hand over the castle to Robert Greville, 4th Baron Brooke. The state apartments were found to be outmoded and in poor repair. Under Roger and William Hurlbutt, master carpenters of Warwick, extensive modernization of the interiors was undertaken, 1669–78. To ensure that they would be in the latest taste, William was sent down to Dorset to make careful notes of the interiors recently finished at Kingston Lacy for Sir Ralph Bankes to designs by Sir Roger Pratt. On 4 November 1695 the castle was in sufficient state to host a visit by King William III. The east front of Warwick Castle from the outer court, painted by Canaletto in 1752. Francis Greville, 8th Baron Brooke, undertook a renewed programme of improvements to Warwick Castle and its grounds. The 8th Baron Brooke was also bestowed with the title Earl of Warwick in 1759, the fourth creation of the title. 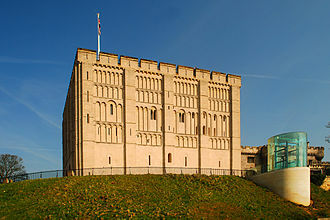 With the recreation of the title, the castle was back in the ownership of the earls of Warwick. Daniel Garrett's work at Warwick is documented in 1748; Howard Colvin attributed to him the Gothick interior of the Chapel. Lancelot "Capability" Brown had been on hand since 1749. Brown, who was still head gardener at Stowe at the time and had yet to make his reputation as the main exponent of the English landscape garden, was called in by Lord Brooke to give Warwick Castle a more "natural" connection to its river. Brown simplified the long narrow stretch by sweeping it into a lawn that dropped right to the riverbank, stopped at each end by bold clumps of native trees. A serpentine drive gave an impression of greater distance between the front gates and the castle entrance. Horace Walpole saw Brown's maturing scheme in 1751 and remarked in a letter: "The castle is enchanting. The view pleased me more than I can express; the river Avon tumbled down a cascade at the foot of it. It is well laid out by one Brown who has set up on a few ideas of Kent and Mr Southcote." ... he [Francis Greville] has sash'd the great apartment ... and being since told, that square sash windows were not Gothic, he has put certain whimwams withinside the glass, which appearing through are to look like fretwork. Then he has scooped out a little burrough in the massy walls of the place for his little self and his children, which is hung with paper and printed linnen, and carved chimney-pieces, in the exact manner of Berkley-square or Argyle Buildings. Gray's mention of Argyle Buildings, Westminster, London, elicited a connotation of an inappropriately modern Georgian urban development, for the buildings in Argyll Street were a speculation to designs of James Gibbs, 1736–40. Greville commissioned Italian painter Antonio Canaletto to paint Warwick Castle in 1747, while the castle grounds and gardens were undergoing landscaping by Brown. Five paintings and three drawings of the castle by Canaletto are known, making it the artist's most often represented building in Britain. Canaletto's work on Warwick Castle has been described as "unique in the history of art as a series of views of an English house by a major continental master". As well as the gardens, Greville commissioned Brown to rebuild the exterior entrance porch and stairway to the Great Hall. Brown also contributed Gothick designs for a wooden bridge over the Avon (1758). He was still at work on Warwick Castle in 1760. Timothy Lightoler was responsible for the porch being extended and extra rooms added adjacent to it in 1763–69. and during the same years William Lindley provided a new Dining Room and other interior alterations. In 1786–88 the local builder William Eboral was commissioned to build the new greenhouse conservatory, with as its principal ornament the Warwick Vase, recently purchased in Rome. In 1802 George Greville, 2nd Earl of Warwick of the new creation, had debts amounting to £115,000 (£10 million as of 2019). The earl's estates, including Warwick Castle, were given to the Earl of Galloway and John FitzPatrick, 2nd Earl of Upper Ossory, in 1806, but the castle was returned to the earls of Warwick in 1813. The Great Hall was reroofed and repaired in Gothic taste in 1830–31 by Ambrose Poynter. Anthony Salvin was responsible for restoring the Watergate Tower in 1861–63. The castle was extensively damaged by a fire in 1871 that started to the east of the Great Hall. Although the Great Hall was gutted, the overall structure was unharmed. Restoration and reparations carried out by Salvin during 1872–75 were subsidised by donations from the public, which raised a total of £9,651 (£890 thousand as of 2019). Individuals had been visiting the castle since the end of the 17th century and this grew in importance through the 19th century. In 1858 Queen Victoria visited the 4th earl with great local celebrations. However, by 1885 it would appear the visitors were becoming a nuisance as the earl closed the castle to visitors, causing consternation in the town. A local report stated, "One day last week eight American visitors who were staying at one of the principal hotels left somewhat hurriedly in consequence of their being unable to gain admission to the castle". It soon re-opened again and by 1900 had a ticket office and was employing a permanent guide. By 1936 Arthur Mee was enthusing not just that "these walls have seen something of the splendour of every generation of our [English] story", with rooms "rich in treasure beyond the dreams of avarice" but also that "their rooms are open to all who will". The collection of armoury on display at Warwick Castle is regarded as second only to that of the Tower of London. Through the 20th century successive earls expanded its tourism potential until in 1978, after 374 years in the Greville family, it was sold to a media and entertainment company, the Tussauds Group for £1.3 million, who opened it as a tourist attraction. Tussauds performed extensive restorations to the castle and grounds. In 12 of the apartments open to tourists since the Tussauds Group takeover, a number of wax figures of historic individuals is presented. The persons depicted were guests at the 1898 weekend party hosted by Frances Countess of Warwick; the principal guest was the Prince of Wales, later Edward VII. The furniture in those rooms is said to be authentic to the period. 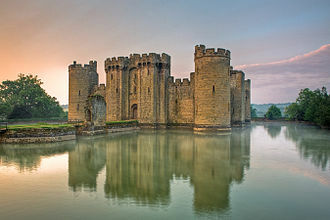 In 2001, Warwick Castle was named one of Britain's "Top 10 historic houses and monuments" by the British Tourist Authority; the list included Tower of London, Stonehenge, and Edinburgh Castle. 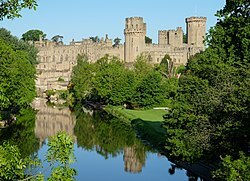 Warwick Castle was recognised as Britain's best castle by the Good Britain Guide 2003. Around this time it was getting in excess of half a million visitors a year. After the March 2007 sale of the castle's owner, The Tussauds Group, to The Blackstone Group, the site was operated by Merlin Entertainments, a division of that corporation. In July of that year, Warwick Castle was sold to the Prestbury Group but continued to be operated by Merlin under a renewable 35-year lease. The castle is protected against unauthorised change as a Scheduled Ancient Monument in recognition of its status as a "nationally important" archaeological site or historic building, and is a Grade I listed building together with its boundary walls, stables, conservatory, mill and lodge. On 23 June 2006, a £20,000 stained glass window was damaged by teenage vandals and a ceremonial sword stolen, recovered soon after. In June 2005, Warwick Castle became home to one of the world's largest working siege engines. The trebuchet is 18 metres (59 ft) tall, made from over 300 pieces of oak and weighs 22 tonnes (24 short tons). It sits on the riverbank below the castle. The machine was built with drawings from the Danish living history museum Middelaldercentret, who, in 1989, were the first to recreate a fully functioning trebuchet. It was built in Wiltshire with expertise from the Danish museum. The trebuchet takes eight men half an hour to load and release. The process involves four men running in 4 metres (13 ft) tall treadwheels to lift the counterweight, weighing 6 tonnes (7 short tons), into the air. It is designed to be capable of hurling projectiles of up to 150 kilograms (330 lb) distances of up to 300 metres (980 ft) and as high as 25 metres (82 ft). On 21 August 2006, the trebuchet claimed the record as the most powerful siege engine of its type when it sent a projectile weighing 13 kilograms (29 lb) a distance of 249 metres (817 ft) at a speed of 195 kilometres per hour (121 mph), beating the previous record held by the trebuchet at Middelaldercentret in Denmark. On 10 April 2015 a thatched boathouse caught fire shortly after a burning cannonball was fired by the trebuchet. It was reported that a spark from the cannonball had started the blaze although a castle spokeswoman said the cause had not yet been established. Hundreds of tourists were evacuated from the castle, but the spokeswoman said they were not at any risk. The Daily Telegraph described the boathouse as "historic", "medieval" and dating to 1896, when the 5th Earl had it built to house an electric boat. Other tourist attractions include "Flight of the Eagles'" (a bird show, featuring bald eagles, vultures, and sea eagles), archery displays, Jousting,"The Trebuchet Show" and "The Sword in the Stone Show". The Castle is also home to "The Castle Dungeon", a live actor experience similar to that of "London Dungeons". Warwick Castle is the subject of many ghost stories. One such instance is that of Fulke Greville who is said to haunt the Watergate Tower despite having been murdered in Holborn. The castle's reputation for being haunted is used as a tourist attraction with events such as "Warwick Ghosts Alive", a live-action show telling the story of Fulke Greville's murder. Musical events at the castle have included carolling, with performances by bands such as the Royal Spa Brass. At times during Summer 2018, the castle offered its War of the Roses event with jousting and other action. On certain dates in August, Dragon Slayer evenings were scheduled, with dining, a projection light show, pyrotechnics, fire jousting and live action stunts. Warwick Castle as viewed from Ethelfleda's Mound in 2007. The current castle, built in stone during the reign of King Henry II, is on the same site as the earlier Norman motte-and-bailey castle. A keep used to stand on the motte which is on the south west of the site, although most of the structure now dates from the post-medieval period. In the 17th century the motte was landscaped with the addition of a path. The bailey was incorporated into the new castle and is surrounded by stone curtain walls. When Warwick Castle was rebuilt in the reign of King Henry II it had a new layout with the buildings against the curtain walls. The castle is surrounded by a dry moat on the northern side where there is no protection from the river or the old motte; the perimeter of the walls is 130 metres (140 yd) long by 82 metres (90 yd) wide. The two entrances to castle are in the north and west walls. There was originally a drawbridge over the moat in the north east. In the centre of the north west wall is a gateway with Clarence and Bears towers on either side; this is a 15th-century addition to the fortifications of the castle. The residential buildings line the eastern side of the castle, facing the River Avon. These buildings include the great hall, the library, bedrooms, and the chapel. Over its 950 years of history Warwick Castle has been owned by 36 different individuals, plus four periods as crown property under seven different monarchs. It was the family seat of three separate creations of the Earls of Warwick, and has been a family home for members of the Beaumont, Beauchamp, Neville, Plantagenet, Dudley and Greville families. 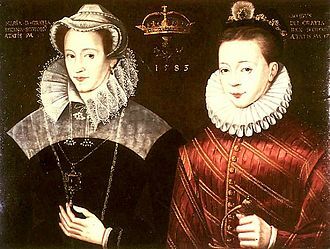 The first creation of the Earldom specifically included the right of inheritance through the female line, so the castle three times had a woman (or girl) as the owner. Eleven of the owners were under 20 when they inherited, including a girl aged two and a boy aged three. At least three owners died in battle, two were executed and one murdered. Every century except the 21st has seen major building work or adaptations at the castle. Formal gardens belonging to Warwick Castle were first recorded in 1534. Landscaping in the 17th century added spiral paths to the castle motte during Fulke Greville's programme of restoration. Francis Greville commissioned Lancelot Brown to re-landscape the castle grounds; he began working on the grounds and park in 1749 and had completed his work by 1757, having spent about £2,293 (£300 thousand as of 2019). on the project. The gardens cover 2.8 square kilometres (690 acres). Robert Marnock created formal gardens in the castle's grounds in 1868–69. Started in 1743 and originally known as Temple Park, Castle Park is located to the south of the castle. Its original name derived from the Knights Templar, who used to own a manor in Warwick. Houses around the perimeter of the park were demolished and the land they stood on incorporated into the park. Attempts to make profits from the park in the late 18th century included leasing it for grazing, growing wheat, and keeping sheep. A water-powered mill in the castle grounds was probably built under Henry de Beaumont, 1st Earl of Warwick. By 1398 the mill had been relocated to just outside the eastern castle walls, on the west bank of the River Avon. Both mills were subject to flooding. By 1644, an engine house had been added to the mill. The mill was reused as an electricity generating plant after it had stopped being used to grind, but once Warwick Castle was fitted with mains electricity in 1940, the mill was no longer required and was dismantled in 1954. Adjacent to the mill is The Mill Garden which is privately owned but open to the public. Interesting views of the castle can be seen from this garden. ^ "Alton Towers sold in £622m deal". BBC News. 17 July 2007. ^ a b c "Merlin conjures up leaseback deal". 17 July 2007. Retrieved 2 December 2017 – via www.telegraph.co.uk. ^ a b c d e f g h i j k l m n o p q r s t u v w x y z aa ab ac ad ae af ag ah ai aj ak al am an ao ap aq ar as at au av 'The borough of Warwick: The castle and castle estate in Warwick', A History of the County of Warwick: Volume 8: The City of Coventry and Borough of Warwick (1969), pp. 452–475. 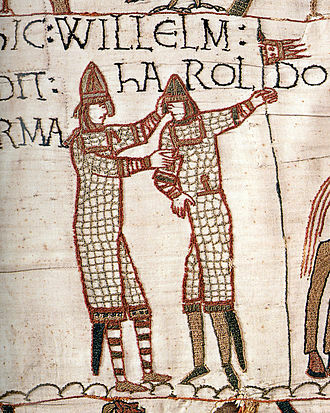 URL: http://www.british-history.ac.uk/report.aspx?compid=16051. Retrieved on 23 June 2008. ^ Historic England. "Kenilworth Castle (333827)". PastScape. Retrieved 3 July 2008. ^ "Parking & Directions at Warwick Castle". Warwick-Castle.co.uk. Retrieved on 2 March 2014. ^ a b c Historic England. "Warwick Castle (333577)". PastScape. Retrieved 19 June 2008. ^ J. Harvey Bloom (18 January 1929). "Warwick Castle". The Times. p. 10. ^ "THE CASTLE AND CASTLE ESTATE IN WARWICK". Victoria County History. 1969. Retrieved 8 May 2015. ^ Howard Colvin, A Biographical Dictionary of British Architects, 1600–1840, 3rd ed. (Yale University Press), s.v. Hurlbutt Roger and William"., noting the accounts quoted in Victoria County History, Warwickshire viii, 460f. ^ Colvin, s.v. "Garrett, Daniel". ^ Jacques (2001), pp. 48, 53. ^ Sash windows had replaced casements in the seventeenth century; they were not considered appropriate for "Gothick" building. ^ Argyle Buildings, Bath (now Argyle Street), were not constructed until ca. 1789 (Colvin, s.v. "Baldwin, Thomas"). ^ Colvin, s.v. "Gibbs, James"; Terry Friedman, James Gibbs (1984:304); 'Argyll Street Area', Survey of London: volumes 31 and 32: St James Westminster, Part 2 (1963), pp. 284–307. (on-line text). Date accessed: 10 September 2008: "The Argyll estate appears never to have been a fashionable place of residence." ^ a b c d e "Warwick Castle". Images of England. Retrieved on 19 June 2008. ^ Colvin, s.v. "Brown, Lancelot". ^ Colvin, s.v. "Lindley, William", noting Victoria County History Warwickshire viii. 462. 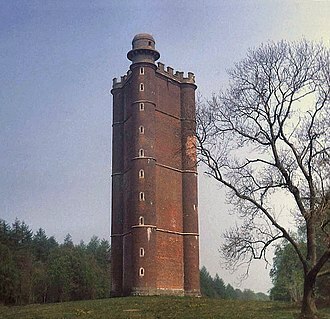 ^ Victoria County History, Warwickshire, viii.463. ^ Poynter's work was lost in the 1871 fire (Colvin, s.v. Poynter, Ambrosde"). ^ "Pearson to sell Tussauds – at the right price". BBC News. 23 June 1998. Retrieved on 17 July 2011. ^ "Open tourist attractions named". BBC News. 30 March 2001. Retrieved on 19 June 2008. ^ "Guide praises Shropshire attractions". BBC News. 28 November 2002. Retrieved on 19 June 2008. ^ "The Renegotiation of the PFI-type Deal for the Royal Armouries Museum in Leeds". Parliament.co.uk. 12 December 2001. Retrieved on 22 June 2011. ^ Cho, David (6 March 2007). "Blackstone Buys Madame Tussauds Chain". Retrieved 2 December 2017 – via www.washingtonpost.com. ^ "Alton Towers sold in £622m deal". 17 July 2007. Retrieved 2 December 2017 – via news.bbc.co.uk. ^ "Scheduled Monuments". Historic England. Retrieved on 12 June 2016. ^ "Castle's ceremonial sword stolen". BBC News. 6 July 2006. Retrieved on 12 December 2012. ^ "World record attempt for trebuchet". BBC News. 21 August 2006. Retrieved on 19 June 2008. ^ "Reconstructing Medieval Artillery". Archaeological Institute of America. 14 June 2005. Retrieved 26 January 2014. ^ "The Mighty Trebuchet". warwick-castle.com. Retrieved 26 January 2014. ^ "Blider" (in Danish). Middelaldercentret. Archived from the original on 29 October 2013. Retrieved 26 January 2014. ^ Heath, Andrew (22 August 2006). "Ursa hurls its way into record books". Coventry Telegraph. Retrieved 11 March 2011. ^ a b c "Warwick Castle trebuchet fireball 'sparked boathouse blaze'". BBC News. 11 April 2015. Retrieved 11 April 2015. ^ a b c d e Harley, Nicola (10 April 2015). "Warwick Castle cannonball show sets fire to historic boathouse". The Daily Telegraph. Retrieved 11 April 2015. ^ "Bird of prey given learner plate". BBC News. 12 August 2005. Retrieved on 19 June 2008. ^ Various authors (1988). 'Ghosts have no feelings' : a collection of ghost stories centred on Warwick Castle. Barbryn. ISBN 0-906160-07-3. ^ "Ghosts alive at Warwick Castle". WarwickCastle.co.uk. Archived from the original on 25 February 2009. Retrieved on 25 February 2009. ^ "Carols at Warwick Castle", Leamington Spa Courier (27 December 2007). ^ "Enjoy Warwick Castle carols on Saturday", Leamington Spa Courier (11 December 2008). ^ a b c Historic England. "Castle Park (1150800)". PastScape. Retrieved 19 June 2008. Allison, K. J.; Dunning, R. W.; Jones, S. R. (1969). "The Borough of Warwick: Introduction". In Stephens, W. B. A History of the County of Warwick: Volume 8: The City of Coventry and Borough of Warwick. Victoria County History. pp. 417–451. ISBN 0-19-722734-1. Brown, R. Allen (2004) . "Allen Brown's English Castles" (New ed.). Woodbridge: The Boydell Press. Buttery, David (July 1987). "Canaletto at Warwick". The Burlington Magazine. 129 (1012): 437–445. JSTOR 882921. Crouch, David (1982). "Geoffrey de Clinton and Roger, earl of Warwick: new men and magnates in the reign of Henry I". Historical Research. 60: 113–24. doi:10.1111/j.1468-2281.1982.tb01151.x. Davis, H. W. C. (October 1903). "The Anarchy of Stephen's Reign". The English Historical Review. 18 (72): 630–641. doi:10.1093/ehr/XVIII.LXXII.630. Friar, Stephen (2007) . The Sutton Companion to Castles (Revised ed.). Sutton Publishing. ISBN 978-0-7509-3994-2. Fuller, Thomas; Nuttall, P. Austin (1840). "The History of the Worthies of England". Thomas Tegg. Greville, Frances Evelyn Maynard (1903). "Warwick Castle and its earls from Saxon times to the present day". Hutchinson. Hamilton, J. S. (Summer 1991). "Piers Gaveston and the Royal Treasure". Albion: A Quarterly Journal Concerned with British Studies. The North American Conference on British Studies. 23 (2): 201–07. doi:10.2307/4050602. JSTOR 4050602. Harfield, C. G. (1991). "A Hand-list of Castles Recorded in the Domesday Book". English Historical Review. 106: 371–392. doi:10.1093/ehr/CVI.CCCCXIX.371. JSTOR 573107. 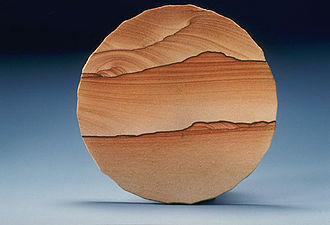 Hyams, Edward (1971). Capability Brown and Humphry Repton. J M Dent & Sons. ISBN 978-0-460-03809-6. Jacques, David (Summer 2001). "Warwick Castle Grounds and Park, 1743–60". Garden History. The Garden History Society. 29 (1): 48–63. doi:10.2307/1587354. JSTOR 1587354. Keightley, Thomas (1839). The History of England. Whittaker and co. ISBN 978-0-559-37870-6. Liddiard, Robert (2005). 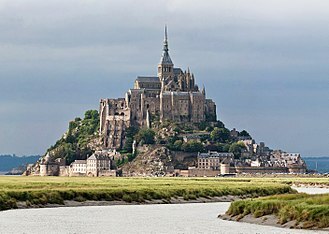 Castles in Context: Power, Symbolism and Landscape, 1066 to 1500. Carnegie Publishing Ltd. ISBN 0-9545575-2-2. Mee, Arthur (1936). Warwickshire. The King's England. Hodder & Stoughton. ISBN 978-1-872438-06-1. Pettifer, Adrian (1995). English Castles: a Guide by Counties. The Boydell Press. ISBN 0-85115-782-3. Potter, K.R., ed. (1955). "Gesta Stephani – The Deeds of Stephen". Thomas Nelson. Thornbury, Walter (1878). "Holborn: The northern tributaries". Old and New London: Volume 2. Cassell. Stephens, W.B., ed. (1969). "Victoria County History for Warwickshire". A History of the County of Warwick: Volume 8: The City of Coventry and Borough of Warwick. Institute of Historical Research. Retrieved 18 May 2011. Wikimedia Commons has media related to Warwick Castle. It has a CAA Public Use Aerodrome Licence that allows flights for the public transport of passengers or for flying instruction. 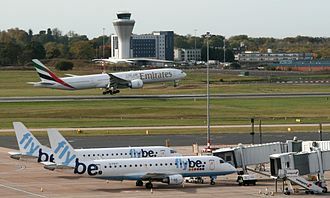 Passenger throughput in 2016 was over 11.6 million, making Birmingham the seventh busiest UK airport, the airport offers both domestic flights within the UK, and international flights to destinations in Europe, the Middle East, the Indian subcontinent, North America and the Caribbean. Birmingham Airport is a base for BMI Regional, Jet2. com, Ryanair, Thomas Cook Airlines. 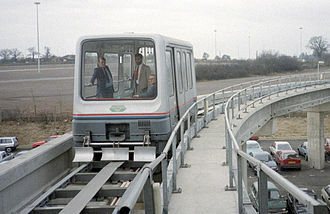 Birmingham Airport is 5.5 NM east-south-east of Birmingham city centre and it is connected by the elevated AirRail Link with Birmingham International railway station on the West Coast Main Line. The relatively short north-east – south-west runway is not operational, and has incorporated into the taxiway for aircraft departing the end of runway 33. In 1928, the Birmingham City Council decided that the city required a municipal airport, Plans were submitted in 1933, identifying Elmdon as the site for the airport, delayed by the Great Depression. On 8 July 1939 the Duchess of Kent, Princess Marina of Greece, the airport was owned and operated by Birmingham City Council. 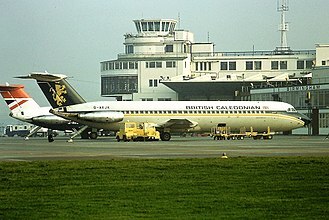 Initial services flew to Croydon, Liverpool, Shoreham and Southampton. During World War II the airport was requisitioned by the Air Ministry and was used by the RAF and the Royal Navy as RAF Elmdon, an Elementary Flying School and a base for the Fleet Air Arm. During this time, the grass strip was replaced by two hard runways, 06/24 at 2,469 feet and 15/33 at 4,170 feet. Avro Lancaster and Stirling bombers manufactured at the Austin Aero Companys shadow factory at Cofton Hackett could not take off from the runways at Longbridge. Instead they were transported by road, minus the wings that would be attached at Elmdon and they were test flown from the aerodrome, and once declared airworthy they were flown to their operational units. On 8 July 1948, the returned to civilian use. During the post-war years, public events, such as air fairs,1961, An additional terminal building to handle international traffic was opened, called The International Building. A keep is a type of fortified tower built within castles during the Middle Ages by European nobility. The Anglo-Normans and French rulers began to stone keeps during the 10th and 11th centuries, these included Norman keeps, with a square or rectangular design. Stone keeps carried considerable political as well as military importance and could take up to a decade to build, during the 12th century, new designs began to be introduced – in France, quatrefoil-shaped keeps were introduced, while in England polygonal towers were built. In Spain, keeps were increasingly incorporated into both Christian and Islamic castles, although in Germany tall towers called Bergfriede were preferred to keeps in the western fashion, in the second half of the 14th century, there was a resurgence in the building of keeps. In France, the keep at Vincennes began a fashion for tall, heavily machicolated designs, tower keeps in England became popular amongst the most wealthy nobles, these large keeps, each uniquely designed, formed part of the grandest castles built during the period. By the 16th century, keeps were slowly falling out of fashion as fortifications, many were destroyed in civil wars between the 17th and 18th centuries, or incorporated into gardens as an alternative to follies. During the 19th century, keeps became fashionable once again and in England, despite further damage to many French and Spanish keeps during the wars of the 20th century, keeps now form an important part of the tourist and heritage industry in Europe. Since the 16th century, the English word keep has commonly referred to large towers in castles. The word originates from around 1375 to 1376, coming from the Middle English term kype, meaning basket or cask, the term came to be used for other shell keeps by the 15th century. By the 17th century, the word keep lost its reference to baskets or casks. Early on, the use of the keep became associated with the idea of a tower in a castle that would serve both as a fortified, high-status private residence and a refuge of last resort. By the 19th century, Victorian historians incorrectly concluded that the etymology of the keep and tenazza were linked. 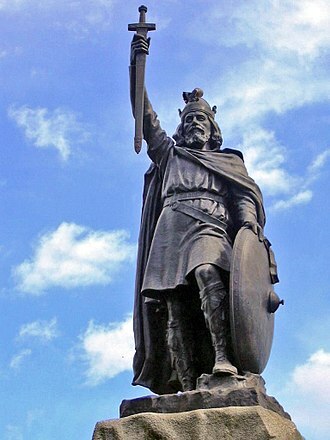 Henry III, known as Henry of Winchester, was King of England, Lord of Ireland and Duke of Aquitaine from 1216 until his death. The son of King John and Isabella of Angoulême, Henry assumed the throne when he was nine in the middle of the First Barons War. Cardinal Guala declared the war against the barons to be a religious crusade and Henrys forces, led by William Marshal, defeated the rebels at the battles of Lincoln. 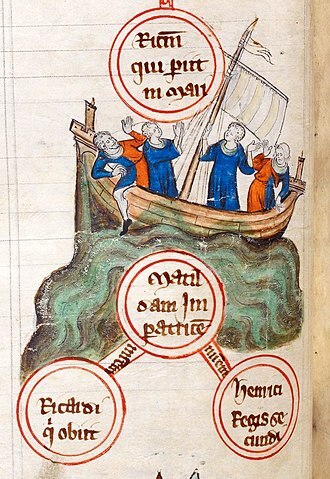 Henry promised to abide by the Great Charter of 1225, which limited royal power and his early rule was dominated first by Hubert de Burgh and Peter des Roches, who re-established royal authority after the war. In 1230 the King attempted to reconquer the provinces of France that had belonged to his father. 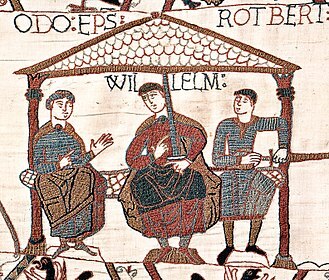 A revolt led by William Marshals son, broke out in 1232, following the revolt, Henry ruled England personally, rather than governing through senior ministers. He travelled less than previous monarchs, investing heavily in a handful of his palaces and castles. He married Eleanor of Provence, with whom he had five children, in a fresh attempt to reclaim his familys lands in France, he invaded Poitou in 1242, leading to the disastrous Battle of Taillebourg. After this, Henry relied on diplomacy, cultivating an alliance with Holy Roman Emperor Frederick II. 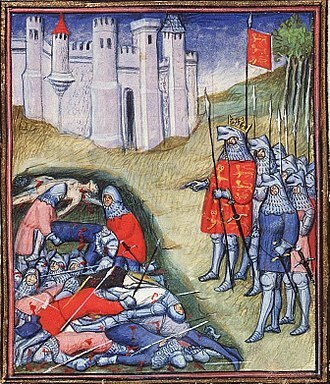 Henry supported his brother Richard in his bid to become King of the Romans in 1256 and he planned to go on crusade to the Levant, but was prevented from doing so by rebellions in Gascony. 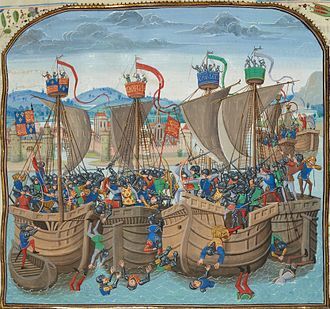 The baronial regime collapsed but Henry was unable to reform a stable government, in 1263 one of the more radical barons, Simon de Montfort, seized power, resulting in the Second Barons War. 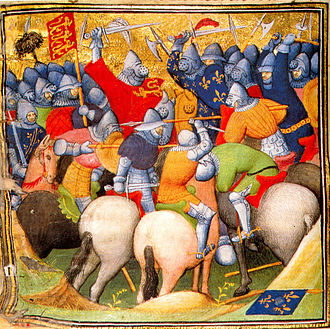 Henry persuaded Louis to support his cause and mobilised an army, the Battle of Lewes occurred in 1264, where Henry was defeated and taken prisoner. Henrys eldest son, escaped captivity to defeat de Montfort at the Battle of Evesham the following year. Henry initially enacted a harsh revenge on the rebels, but was persuaded by the Church to mollify his policies through the Dictum of Kenilworth. Reconstruction was slow and Henry had to acquiesce to various measures, including suppression of the Jews, to maintain baronial. Kenilworth Castle is located in the town of the same name in Warwickshire, England. Kenilworth has played an important historical role, Kenilworth was the scene of the removal of Edward II from the English throne, the French insult to Henry V in 1414, and the Earl of Leicesters lavish reception of Elizabeth I in 1575. The castle was built several centuries. Founded in the 1120s around a powerful Norman great tower, the castle was enlarged by King John at the beginning of the 13th century. Huge water defences were created by damming the streams. John of Gaunt spent lavishly in the late 14th century, turning the castle into a palace fortress designed in the latest perpendicular style. The Earl of Leicester expanded the castle again, constructing new Tudor buildings. Kenilworth was partly destroyed by Parliamentary forces in 1649 to prevent it being used as a military stronghold, only two of its buildings remain habitable today. The castle became a tourist destination from the 18th century onwards, English Heritage has managed the castle since 1984. The castle is classed as a Grade I listed building and as a Scheduled Monument, the castle is built almost entirely from local new red sandstone. To the south-east of the castle lie the Brays, a corruption of the French word braie. Only earthworks and fragments of masonry remain of what was an extensive 13th-century barbican structure including a stone wall, the area now forms part of the car park for the castle. Beyond the Brays are the ruins of the Gallery Tower, a second gatehouse remodelled in the 15th century, the Gallery Tower originally guarded the 152-metre long, narrow walled-causeway that still runs from the Brays to the main castle. This causeway was called the Tiltyard, as it was used for tilting, or jousting, the Tiltyard causeway acted both as a dam and as part of the barbican defences. To the east of the Tiltyard is an area of marshy ground, originally flooded and called the Lower Pool. The Great Mere is now drained and forms a meadow, but would originally have been a lake covering around 100 acres. This artwork is laid out in the excavated remains in Priory Gardens and is said to depict Coffa's Tree from which Coventry may have derived its name. Warwick station in 2013, looking west towards Birmingham. The airport site, as it was around 1921. The control tower and runway, with aircraft standing at the main terminal building in the foreground. The 1879 facade of Warwick School, photographed in February 2007. The 1879 main buildings of Warwick School, viewed from the top of the science block in 2015. The 1879 chapel of Warwick School, viewed from Chapel Quad.